In the past few weeks I have been occupied trying to get some out-of-print material ready for reprint. Occasionally I read something that I think should be shared. Take a look at these. Ephesus Museum Open. Carl Rasmussen reports on his HolyLandPhotos’Blog that the Ephesus Museum in Seljuk is open after being closed for renovation. Gentile References in Matthew. Charles Savelle presents a list of “Gentile References in Matthew” at BibleX. Bible Places Blog. Todd Bolen’s Weekend Roundups have been extremely helpful the past couple of weeks. See here for the most current one. The Fallow Deer. Shmuel Browns writes about how the Fallow Deer was reintroduced into Israel from Iran. Fascinating story with photos here. Browns does not say where he made his photos, but mentions that some of the deer were taken to Neot Kadumim. 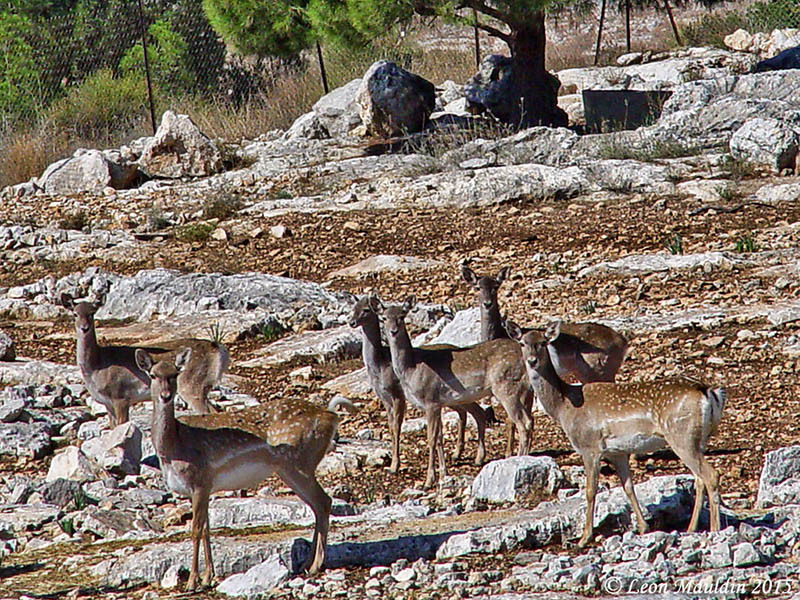 When Leon Mauldin and I visited Neot Kedumim in 2005 the deer there were young. I note that they are not as gray as those in Shmuel’s photos. Perhaps the age accounts for the difference. Young fallow deer at Neot Kedumim. Photo by Leon Mauldin. Using Maps in Bible Study. Wayne Stiles writes about “The Value of Using Maps in Your Bible Study” here. Mount Gilboa. The Times of Israel carries an article here with beautiful photos, of the Gilboa Mountains and the wildflowers growing there in the winter and spring. 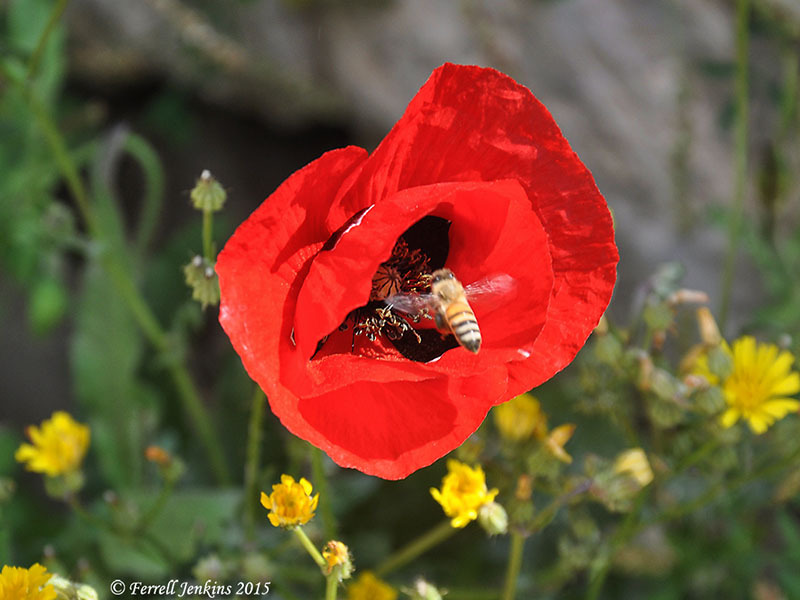 A poppy and a bee at the Pool of Bethesda, Jerusalem. Photo by Ferrell Jenkins. Responding to Newsweek. Darrell L. Bock has two more responses here to the Newsweek article on The Bible. How Many Saviors? Amazon has Ronald Nash’s Is Jesus the Only Savior? available in Kindle format for $1.99 for a limited time. This book can be very helpful in this time of emphasis on pluralism and inclusivism. The Exodus. Last Friday I heard Gretchen Carlson’s interview with filmmaker Tim Mahoney on Fox News. It was the first I had heard of the film Patterns of Evidence: Exodus. The film is debuting Monday, January 19 at select theaters nationwide. 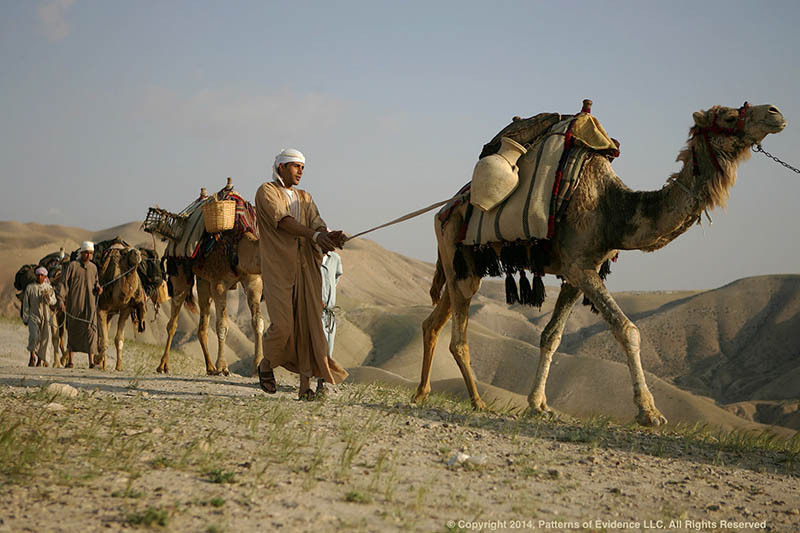 For info on the film and places it will be shown see Patterns of Evidence: The Exodus. Here is the trailer. A few nice photos are available for download. You are on your own to see/hear and evaluate. Added Note (Jan. 19, 2015). Todd Bolen calls attention to a review of the film by Larry Largent. This review confirms my suspicions that the flim was an effort to push a revised chronology. Take a look at this review at Biblical Remains. This entry was posted in Archaeology, Bible Lands, Bible Places, blog, Books, Israel, New Testament, Old Testament, Photography, Travel and tagged Israel. Bookmark the permalink.